Workshop on Combinatorial and Additive Number Theory (CANT 2017),May 23-26, 2017, CUNY Graduate Center, 365 Fifth Avenue, New York USA. Graduate students are particularly encouraged to participate in the workshop and its daily problem sessions. Combinatorial and Additive Number Theory (CANT 2016), May 24-27, 2016, CUNY Graduate Center, New York, USA: This is the fourteenth in a series of annual workshops sponsored by the New York Number Theory Seminar on problems and results in combinatorial and additive number theory and related parts of mathematics. 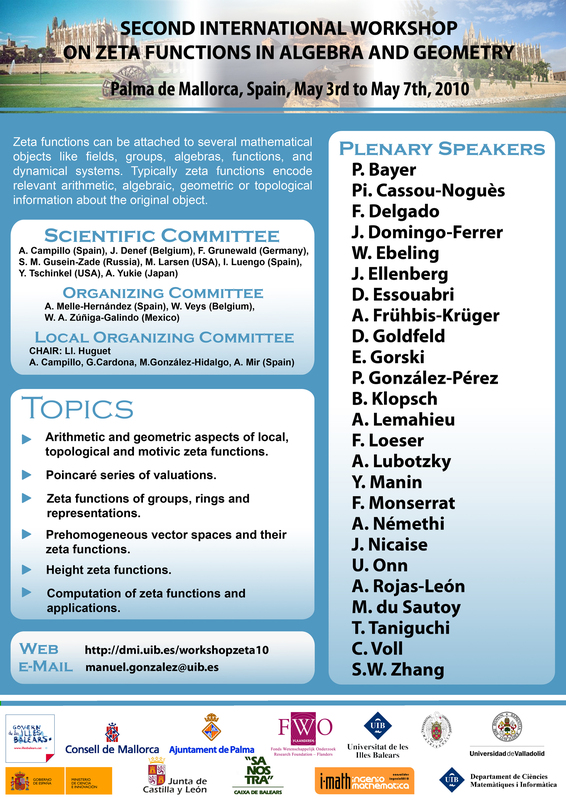 The list of speakers with abstracts of their talks will be posted on the website www.theoryofnumbers.com. There are daily sessions on open problems, and graduate students are encouraged to attend. Proceedings of the conference have been published by Springer. Mathematicians who would like to speak at the meeting should submit a title and abstract to melvyn.nathanson@lehman.cuny.edu. 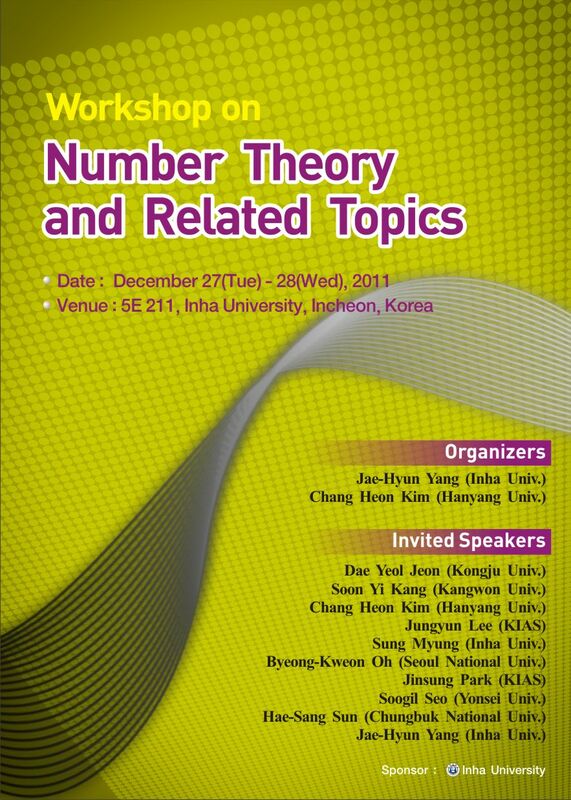 Number Theory in Kaiserslautern 2014: Number Theory Meets Geometry, November 24-28, 2014, Technische Universität Kaiserslautern, Germany. Iwasawa 2012 will be held at the Faculty of Mathematics and Computer Science (Heidelberg University) from July 30 until August 3, 2012. A conference website is in preparation. 25th Seminar Aachen-Köln-Lille-Siegen on Automorphic Forms, September 30, 2009, University of Siegen, Emmy-Noether-Campus, Raum D-201. Southern California Number Theory Day, March 8, 2008, Caltech.